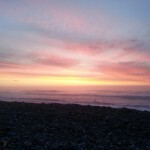 We’d cruised up the east coast of the South Island, pausing at Hanmer Springs before traversing the nerve-wracking Rainbow Rd to Lake Rotoiti. After I almost became food for the eels we moved on to discover the place where Abel Tasman met the Māori. Now it was time to head west, travelling ever more narrow and winding mountain roads to Westport, where we once again turned north. Near Karamea Bluffs we pulled off at the sign for “Large Matai Tree”, venturing into the bush to locate the tree magnificent enough to merit signposting. 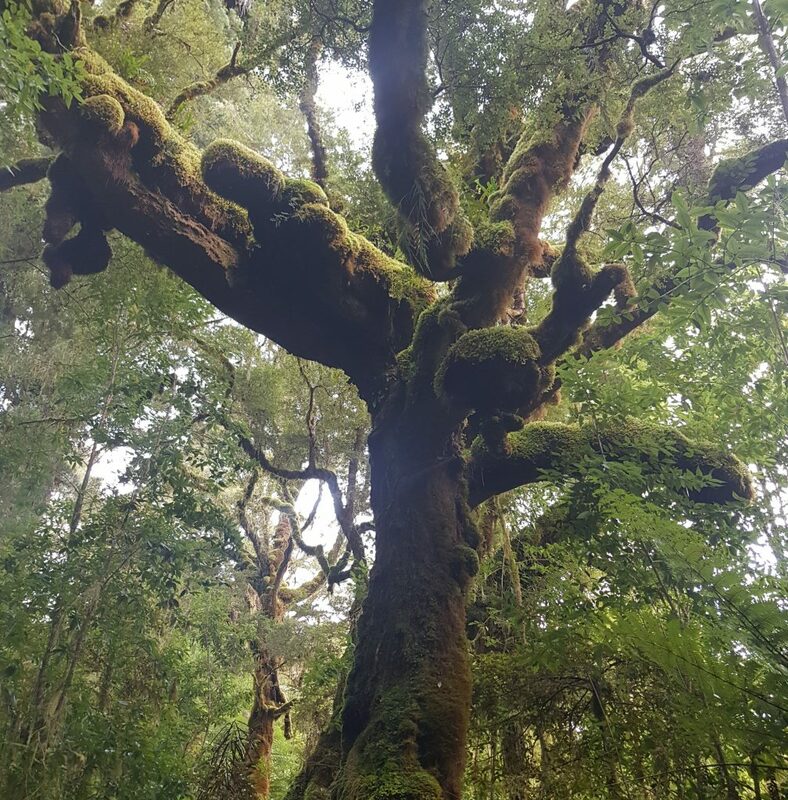 The short path was overgrown with vines and fallen branches, but we eventually reached the bole of the massive moss and vine-encrusted trunk. I duly admired this giant of the forest, and posed with it for some pictures. 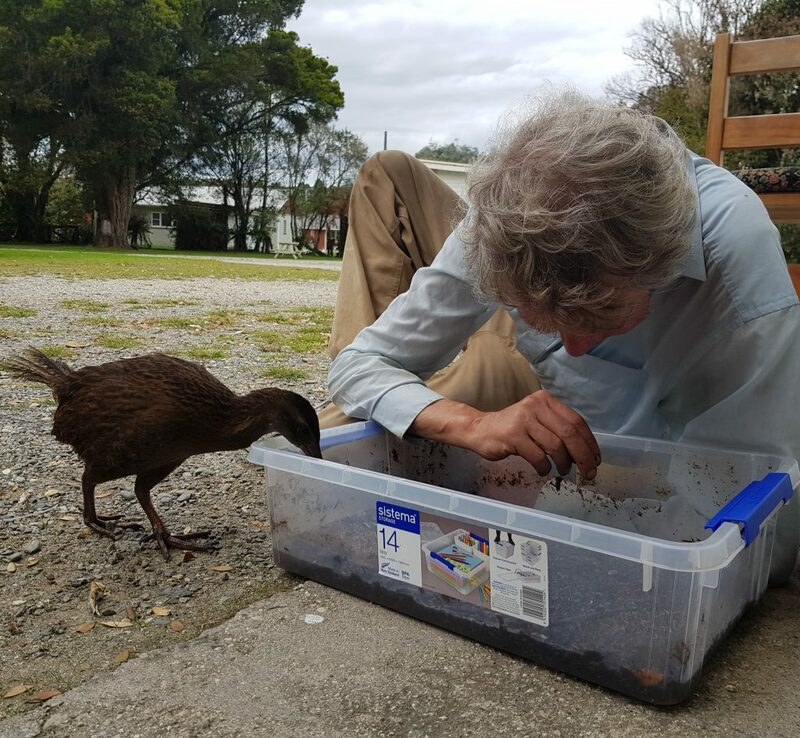 Then, while Dad worked on digging up some soil samples, I returned to the road only to find several weka inspecting our car. I tip-toed as close as could get without alarming the brown-and-black patterned flightless visitors, then sat quietly to see what sort of pictures I could get. Turns out my new friends were not as flighty as I expected, and they quickly lost all semblance of caution as they investigated all parts of my person for edibles. Perhaps it was a combination of my over-active imagination and the almost prehistoric surrounds, but the birds almost struck me as dinosaurian. 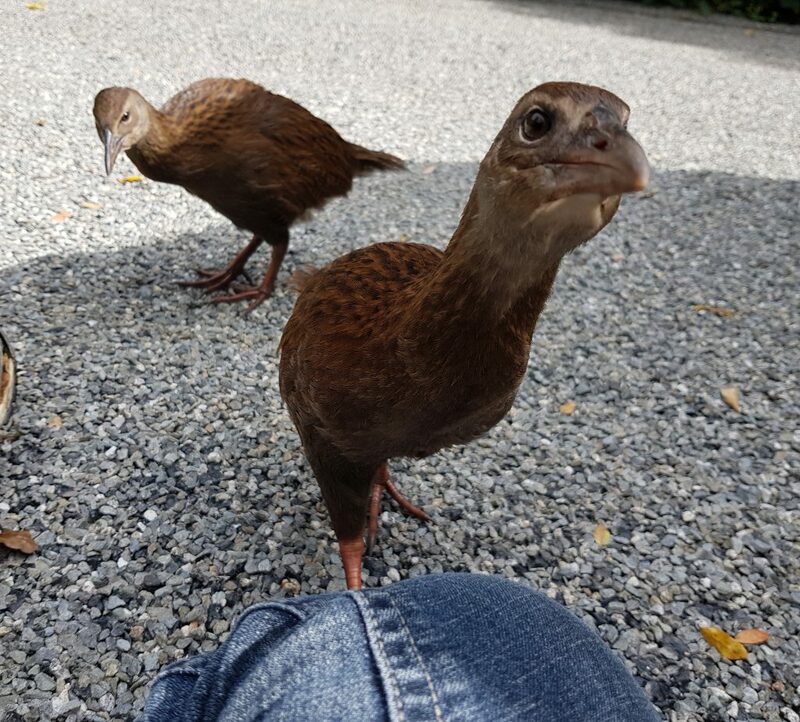 Weka once flourished over much of New Zealand, even on the Otago Peninsula – as testified by Harbour Cone’s Māori name of Hereweka – but now their range is sadly much more limited. The birds were almost at the point of climbing into my lap when they were startled by Dad’s return, and immediately abandoned me to investigate the new arrival. I couldn’t be having with that, so it was back in the car and onward. We passed Little Wanganui and turned off just before reaching the Karamea River to secure lodgings at the Karamea Holiday Park, where our hostess obligingly showed off her patchwork creations. Tired from the long and tricky drive, we decided to put off any further adventuring until the morrow, and devote the evening to relaxing. 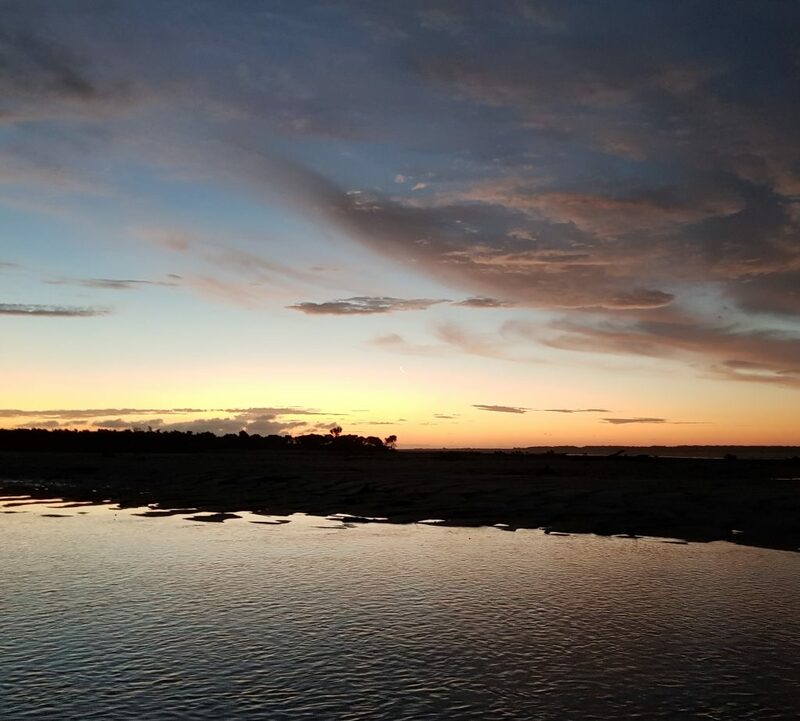 I did however manage to find the energy to appreciate the sunset over the nearby Karamea River, under a tiny sliver of a new moon. Come morning we were fully energised and ready to adventure some more. 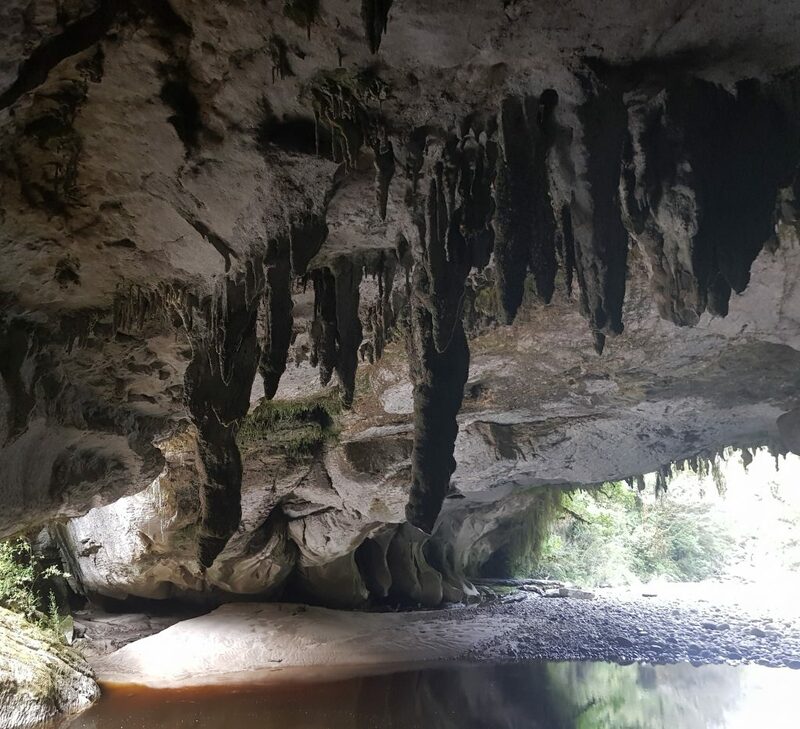 Our hostess had recommended we check out the impressive limestone formations in the Oparara Basin, a little further north. 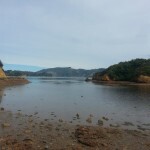 She had additionally advised us to set out early in the morning, as the journey to the parking lot would involve 12km of rough and narrow unsealed road, and it would be best to avoid meeting too many people trying to come back the other way. The McCallums Mill Road was indeed as challenging as I’d been led to believe, with some steep patches and a fun narrow bridge/tight corner combo. In one eight week period back in 2017, there were 18 crashes on this road, many caused by drivers not paying enough attention when moving to the road margin – a mistake I would never make. At least, never again after doing it on the Rainbow crossing. 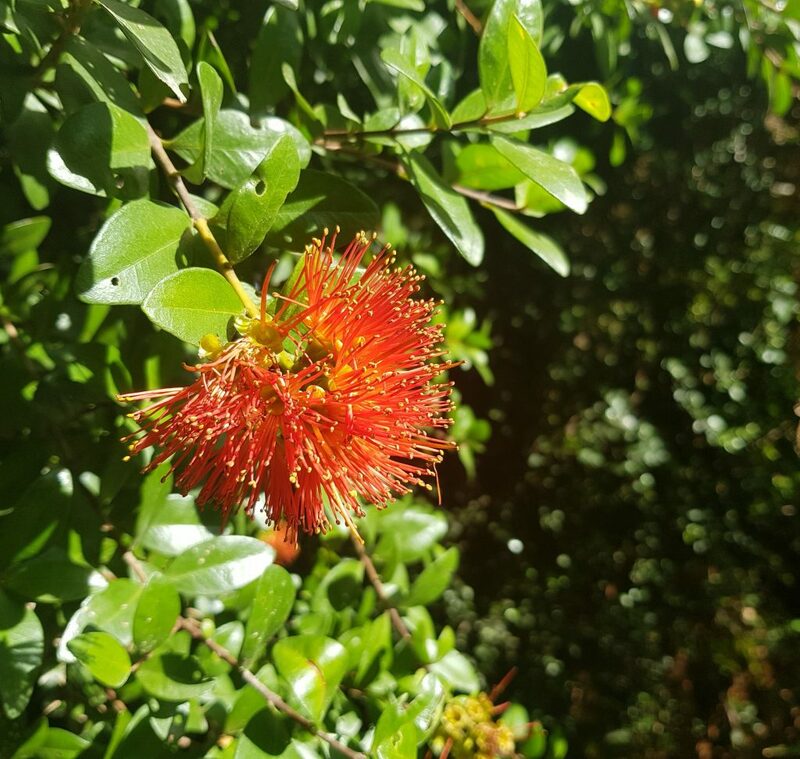 Several rātā trees in scarlet bloom beautified the treacherous borders of the road. We managed to reach the park without mishap, and were then offered a smorgasboard of possible sight-seeing ventures. We chose “Moria Gate” purely because it sounded awesome, and crossed the small bridge over the tannin-stained Narya Creek – yes, that is another Tolkein reference! You might think these names are a bare-faced ploy to capitalise on New Zealand’s recent connections with Middle Earth, but they actually go back to 1984. This area was logged from 1960 until 1986, though you’d hardly know it from the lush rainforest that presses in on all sides. Everything here is verdant, long trails of hanging moss festoon every branch, lichens and liverworts encrust every stone and earth embankment, even the tree branches above are weighed down by great clubs of ephiphytic greenery. I am constantly amazed at the diversity of habitats we have access to on our tiny island. In a matter of days I’ve gone from arid mountains to glacier-carved lakes surrounded by dry airy beech forests, to this prehistoric jungle. 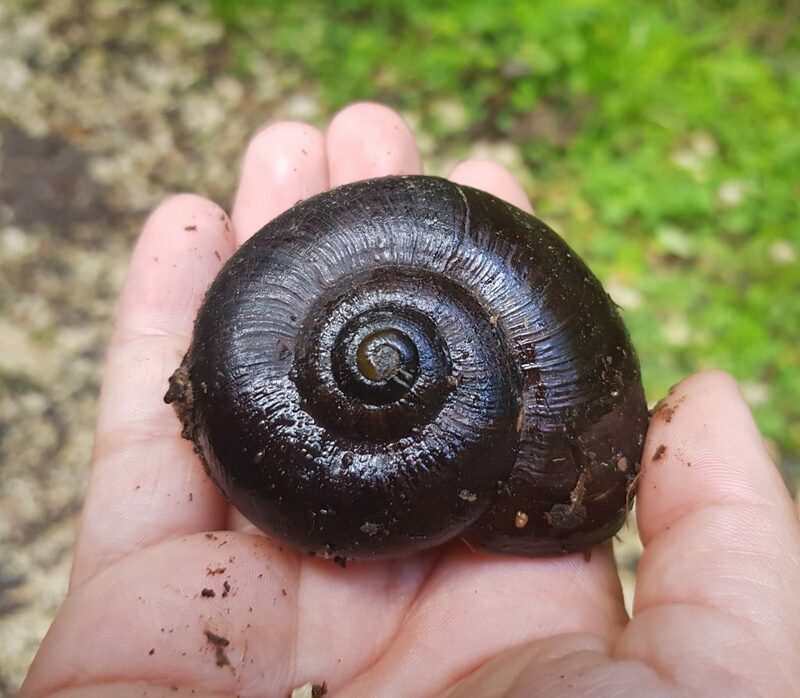 This place is a haven for unique animal and plant life, and after having such success on this journey with the eels and weka, I had only one reclusive species left to check off my list – Powelliphanta, the West Coast’s giant carnivorous land snail! 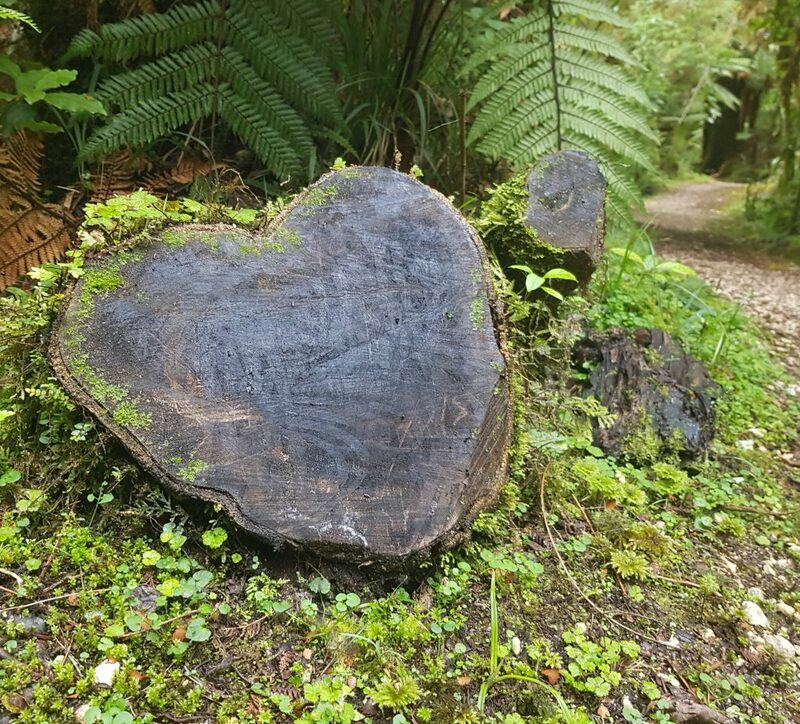 The heart of the forest? As we continued along the well-maintained path, Dad and I peeked under every track-side stone and log for our slimy prey. 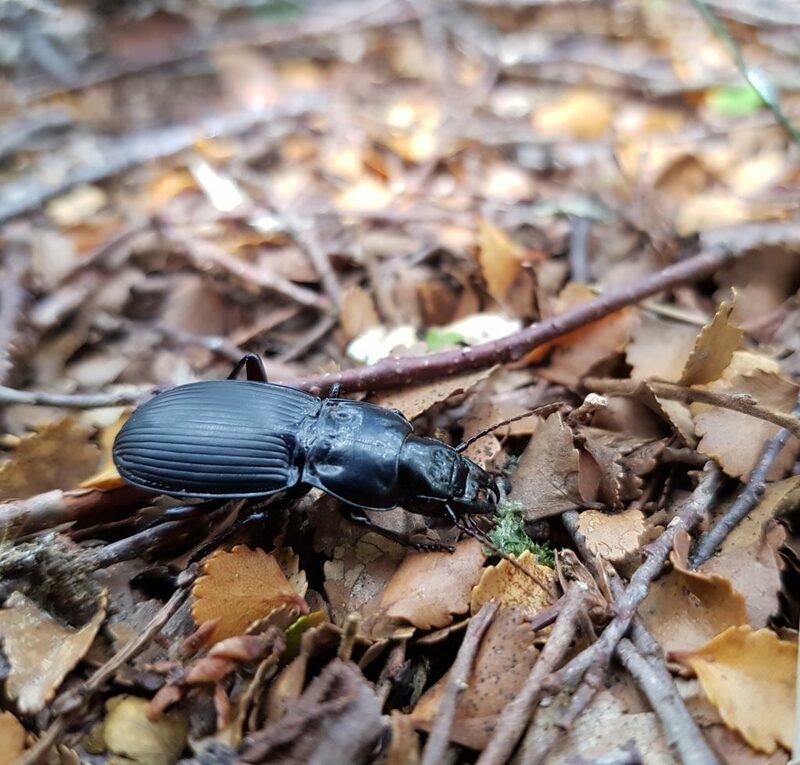 We found some large millipedes curled tightly into balls and fearsome-looking Plocamostethus beetles, which I hadn’t encountered since leaving Wellington at the age of 11 but immediately recognised by smell alone. The Powelliphanta, however, remained elusive. We soon reached the detour which would take us to Moria Gate, a short set of limestone steps which led to a small hole in the ground. I nervously gripped the rope that was bolted to the wall and descended into the darkness. Luckily it was not too far down, and our biggest challenge was to keep our footing on the slippery stone. 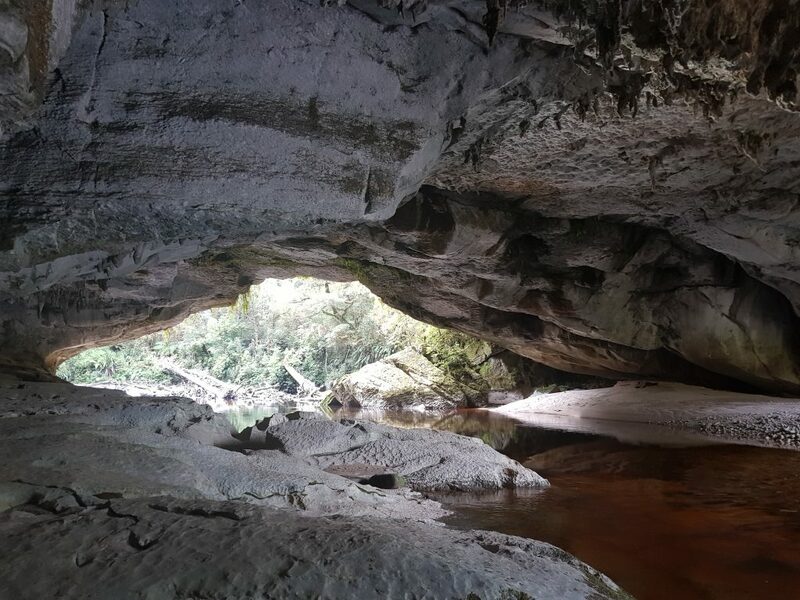 The hole quickly opened up into a wide cave as light poured in ahead of us where the 19m high, 43m wide arch straddles the brown waters of the Oparara River. 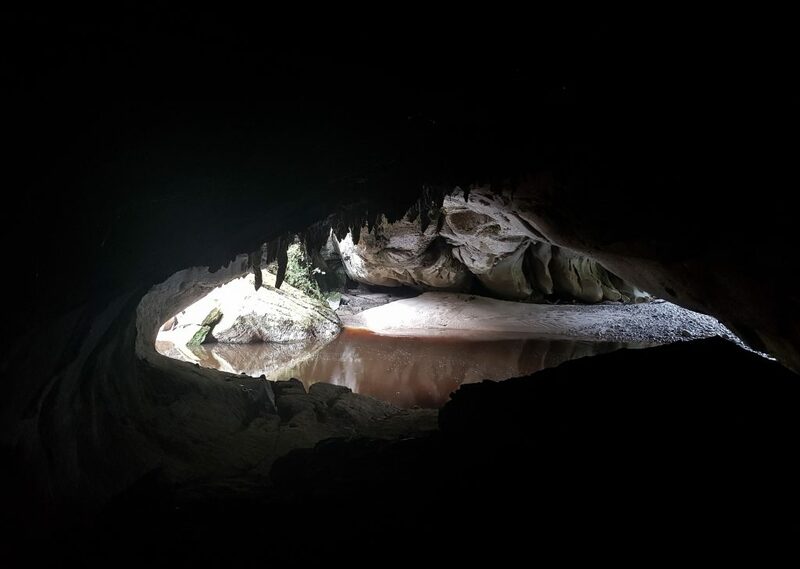 Stepping closer to the light, we could finally make out the stalactites clustered above, the dimpled and fissured floor, and the knobbly lumps where sediment dripping from the ceiling had begun to pile up. 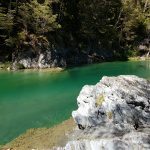 We admired the magnificence of our surrounds for a while, exploring as far as we were able on our ledge beside the river (an earlier sign had warned us not to venture into the water), before we backtracked back up the slippery slope and returned to the track. Now the path lead us over the arch on moa-footprinted flagstones, and I’ve got to admit that if I hadn’t just seen it, I’d never have realised we were on top of such an incredible land form, as from here it looked just like the rest of the forest. We reached the place where the Oparara Valley track and the Mirror Tarn loop diverge and discussed our next move. Dad was keen to get back to process his soil samples, so we turned around. My only disappointment was missing the Powelliphanta. 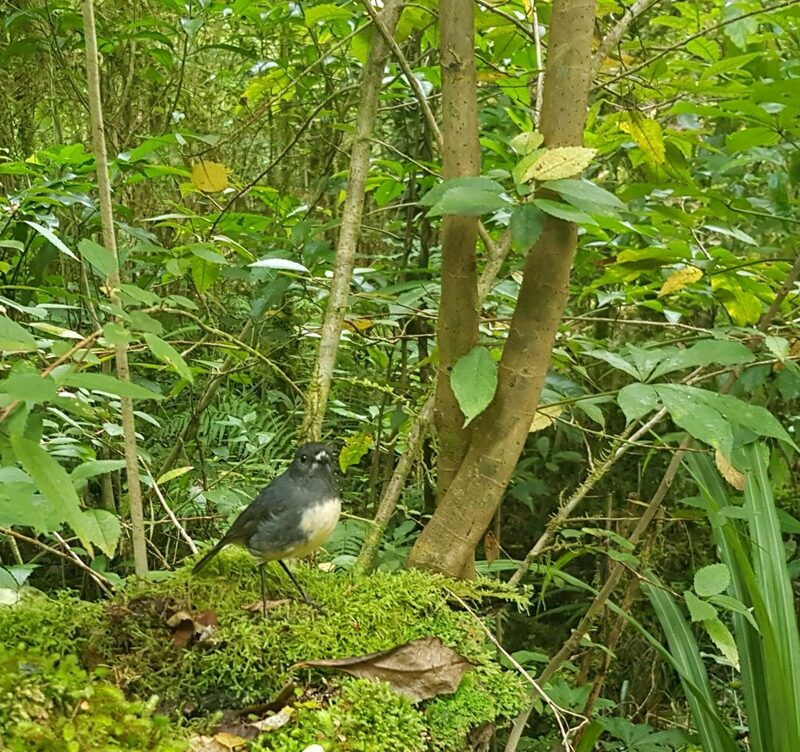 Just then a toutouwai (New Zealand robin) landed on the track before us, holding something in its beak. As we approached it dropped its treasure, and I picked it up curiously. It was a Powelliphanta – emphasis on was. This specimen was fairly small, measuring about three centimetres across, hardly one of the 9cm behemoths I’d been reading about – but it might be the best I was going to get. 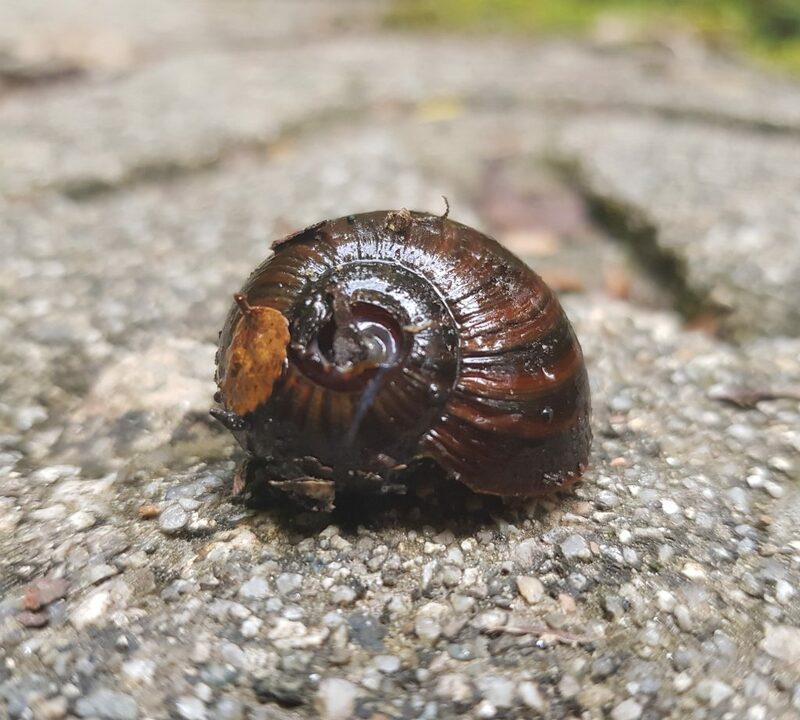 I thanked our little friend and returned the shell to the mossy trail verge – it is illegal to remove even the empty shells, both to prevent trophy hunters from mistakenly removing any live snails, and to ensure that the calcium that went into them goes back into the environment. Now I was content to return the way we’d come, having found at least a trace of our slimy and elusive quarry. Then Dad called out to me – he’d decided to check under one last log, and guess what he’d found! We admired the magnificent mollusc before carefully placing it back where we’d found it – nice and snug under its log. I practically skipped back to our vehicle. Our trip had been a perfect success after all. Back at our lodgings, Dad was happy too – he even had some help with his soil samples! Who will spot the insects first? It seems to be a litany I’ll repeat all my life, but one and a half days was nowhere near enough to explore this fascinating region. I can only hope for the chance to return some day and further explore this little patch of Middle Earth. 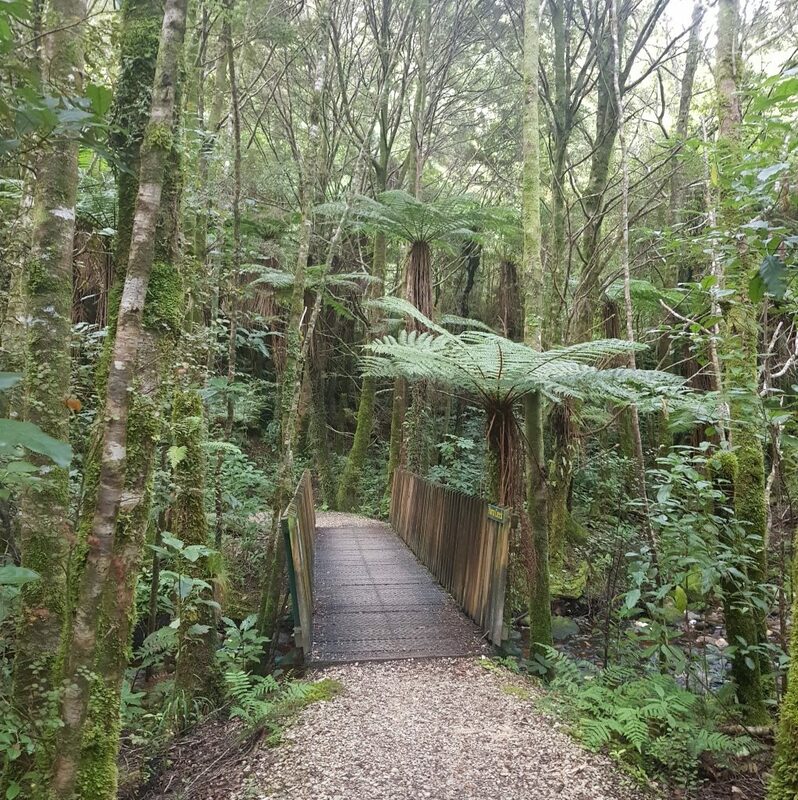 Perhaps I’ll even see my friends again – weka, toutouwai, Plocamostethus, Powelliphanta and all! A neat story. Many thanks.